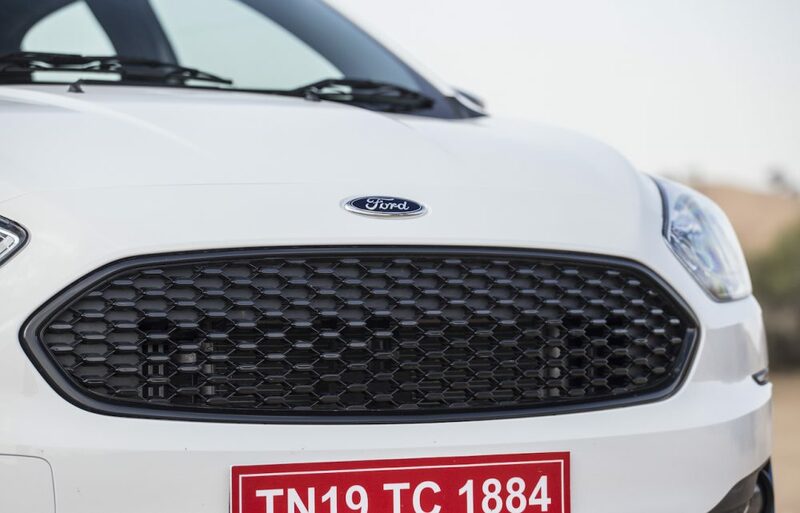 The Ford Ikon was the very first car I drove that I thoroughly enjoyed. I hated the ‘Josh machine’ moniker, but the car was an absolute riot. And then Ford continued with cars that were nice to drive, but didn’t quite wow me. 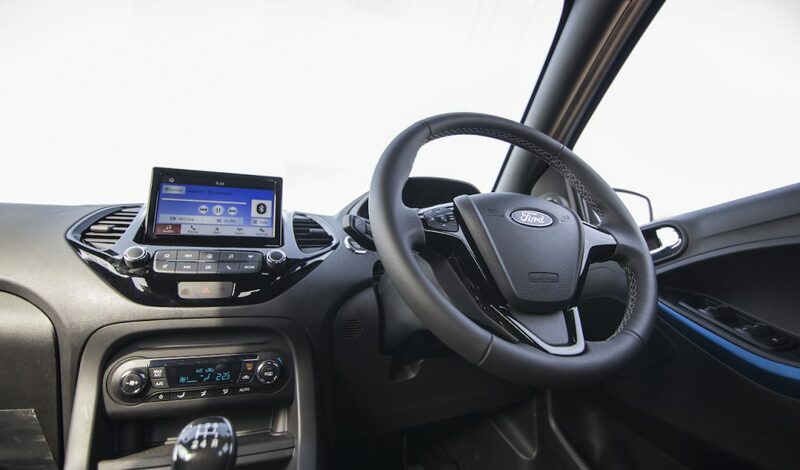 The Fiesta was a decent driver’s car, and I considered the original Figo for my family, but the former failed to be as memorable and the latter just felt too basic. Last year though we got the Ford Freestyle, a car that was such good fun I think it was the most desirable hatchback I drove in 2018. So the thought of an updated Figo had me expecting even more of the good stuff. And it delivers. Kind of. Before diving straight into in, I think it is important to understand what Ford is trying to do with this. The new Figo is aimed not merely at the driver, but at his/her family too. It wants to be a car that everyone is comfortable in, and still be fun to drive. It aims to set new expectations of safety from this segment, as well as be tech savvy and stylish. These are tall orders, but all things considered I think Ford has done a good job with the Figo in this aspect. 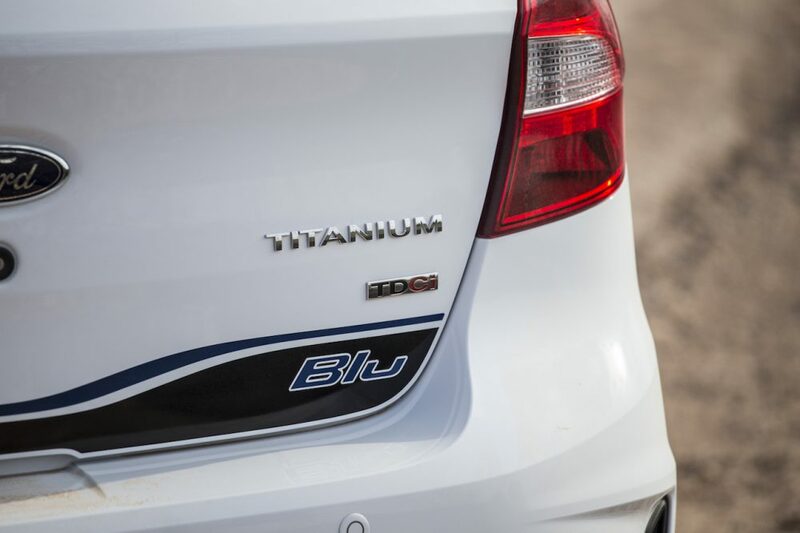 I spent two days with the Titanium Blu (the top end) variants of the Petrol and Diesel Figo and walked away impressed. Ok then, let me tell you more. It looks very handsome. All Ford cars do to me. They have a purposeful stance, they don’t look brash or gawdy but elegantly trendy. The Titanium Blu variant gets a ton of blue accents too, just to make sure you never ever forget where the variant got its name. There are blue accents on the bumper, which actually look very cool. Then the interior has a smattering of blue too on the door handles, along with blue stitching on the seats and finally the word ‘blu’ embroidered into the headrests. The last one was a bit much, but the rest looks very tasteful. Outside, the roof is contrasted in black, and the door sills get decals. The blacked out wheels look pretty cool. Put together, this car looks young and energetic. Not ‘I’ve just got my license, lets burn some tyres’ young, but a bit more mature and composed. Something that a 20-something-year old will love, and a 50-year-old won’t feel out of place in either. What about the drive though? Well, the simple answer is that it isn’t as engaging as the Freestyle. But it is important to keep Ford’s family oriented goal in mind. The engines are lovely, at least the diesel is. It revs quickly, there is ample of torque and the top end is quite good too. The petrol feels a bit lacklustre though, and I was constantly shifting gears to stay in the powerband. There is a 1497cc, 121 bhp petrol motor too, but that is only offered with the automatic. We didn’t get to drive it, but I’d wager that is the petrol to get. Anyway, the steering, just like other Ford cars, has fantastic feel and weight for this segment and is an actual joy to use. So far it feels like a fun Ford, but then we get to the suspension. 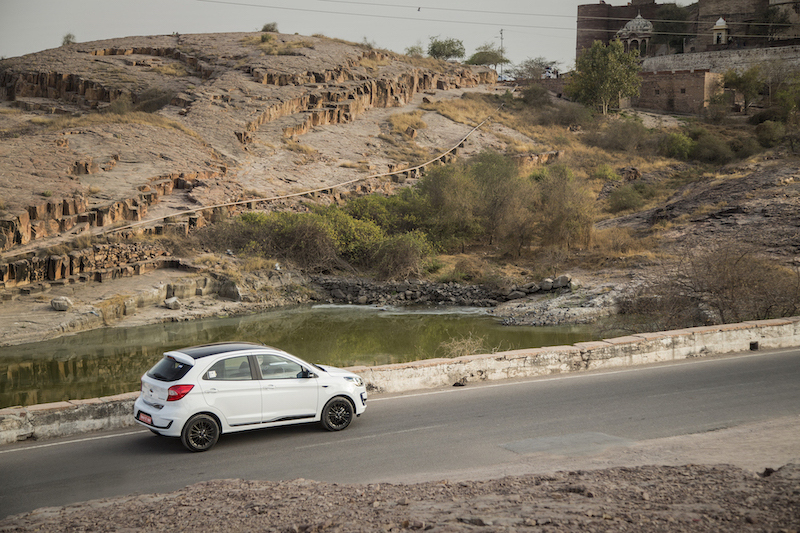 You see, Ford has softened it up, and I mean reallysoftened it up, to make it more comfortable on the pathetic excuse of roads we have in India. Mind you, it works. Bumps and undulations are dealt with poise and composure, and it will keep all occupants of the car happy. But when you start getting frisky with the throttle and driving a bit enthusiastically is when it starts to get very wallowy. 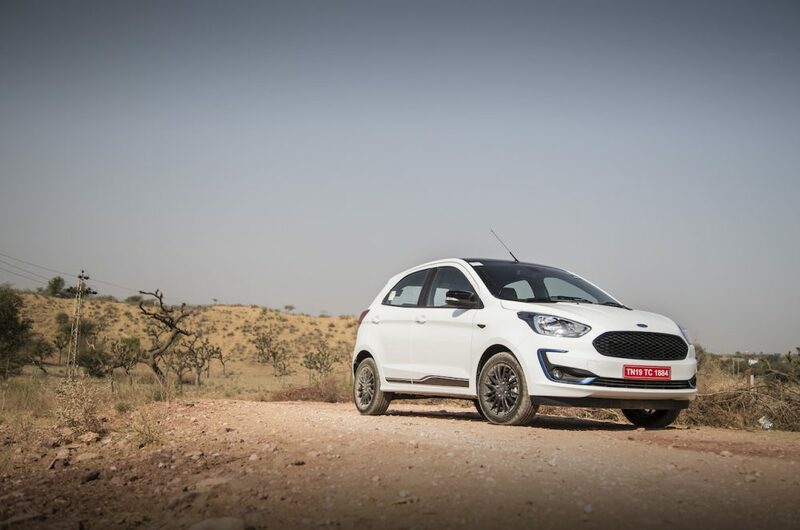 Hit the brakes hard on an even slightly uneven surface and the Figo gets very skittish. Attack corners aggressively and the body roll will very soon induce nausea. In short, it is not a lot of fun to hoon around all day. Hoon around for short bursts? Sure. But if you like to emulate Ken Block on every drive to the office then you are better off with the Freestyle. There are a few other minor gripes I have too. The interior is familiar looking. I love the auto-dimming mirrors, the rear parking camera, rain sensing wipers and auto headlamps. But surely telescopic steering could’ve been added to the top end right? Then the new 7-inch infotainment screen is superb. It is vibrant, has a very responsive touch, is placed correctly and is the right size-but it doesn’t get Apple CarPlay or Android Auto. Why Ford? It’s an expense, I know, but for a car that proudly proclaims its ‘smart’ intentions, this is a missed opportunity. And I love the fact that Ford is taking a proactive role in making this segment safer with 6-airbags, but like Mahindra did with the XUV300, why do the rest of the variants only get 2? Wouldn’t 4-airbags in the middle variants have furthered the safety goals? Surely safety shouldn’t only be for the wealthy? 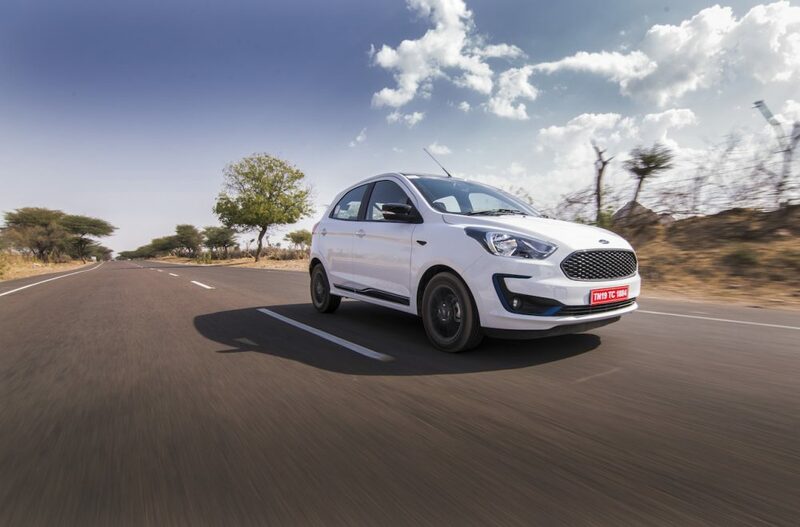 These irritations aside though, I think as a family package the new Ford Figo is very good proposition. It isn’t the most fun Ford you can buy, but it is a fun car to drive, and one that your family wont resent. I also think it has been priced very well, with all the features on offer, and I think families ought to give it an opportunity. And with a 5-year warranty on top of it makes the deal even sweeter. Just be clear on what kind of driving you intend to do with it when you’re alone in the car.